The first catering truck has finally been finished and all the parts fitted successfully together. I have based this model in the catering truck from Doll; the X-Cat M variant, hence the door at the left side and the usual loading door at the back. 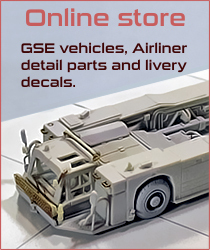 The set will include metal parts, transparent sheet for the windows and a choice set of decals (with the base decal set included as well). More info about this at the day of release. Although the first model has been finished, there is still some work to do as the instructions for example. I will make a finished painted and decaled version in a couple of days and from them, I will start to cast the first units. 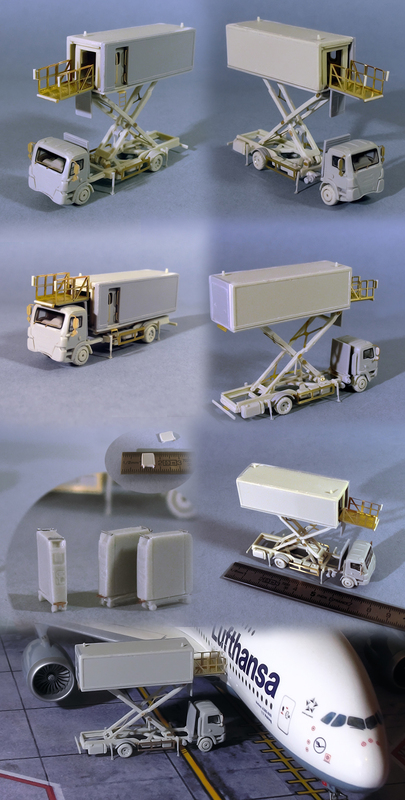 Regarding the cargo loader FMC15i; it will be available at the same time as the release of the catering truck, however new molds will be made in order to ease the casting process. My goal is to set both items available in approximately two weeks. During this time I will upload a review on the decals and introduce the upcoming project.